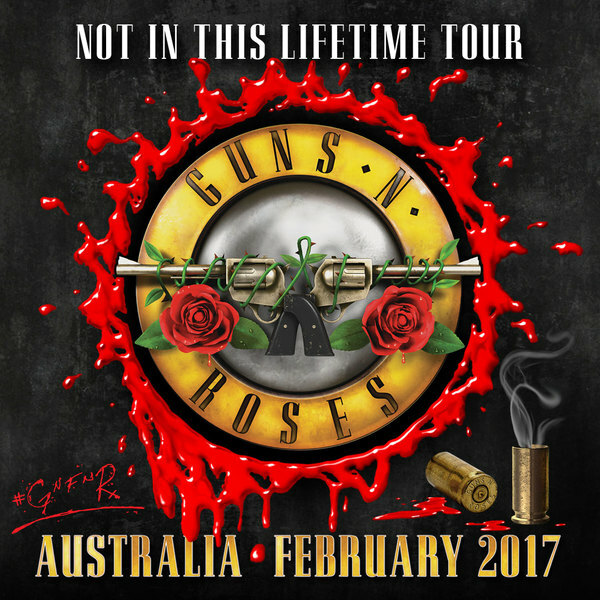 Following months of speculation from rock music fans across the country Paul Dainty from TEG DAINTY today announced dates for the Australian leg of Guns N’ Roses Not in this Lifetime mammoth stadium tour. Nightrain presale for all dates begins 19 August. Check out the tour page for all the details. Kicking off in Brisbane on Tuesday 7 February at QSAC Stadium the Not in this Lifetime tour will then travel to Sydney’s ANZ Stadium on Friday 10 February before heading to Melbourne on Tuesday 14 February where the band will ignite the iconic MCG in the first major concert there since 2009’s Sound Relief. The band will play Adelaide Oval on Saturday 18 February and Perth’s Domain Stadium on Tuesday 21 February.